For those of us lucky enough to have a four-legged friend in the family, we all know the stress that going on holiday can trigger. Can you leave them with a trusted friend or family member? Is there a dog sitter you can rely on to look after your precious pup? Fortunately at Cofton, you don’t have to worry about leaving your pooch on their lonesome as we cater specifically for dogs! Whether it’s our dog friendly holiday homes or allowing dogs on our pitches, we love welcoming dogs into our glorious corner. It’s not just us, though. The whole area is packed with wonderful, dog friendly activities. We’ve got dog friendly beaches on our doorstep. But our pick would be to head into Dartmoor and savour the world famous views. 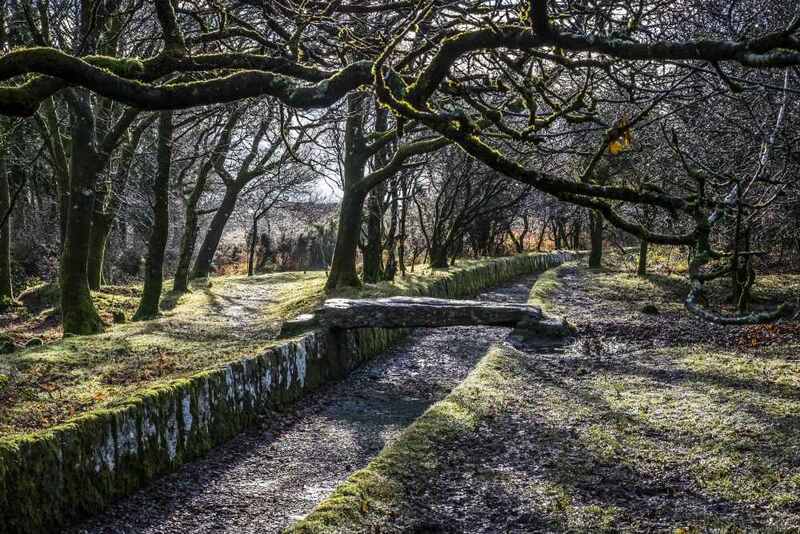 The amazing thing about Dartmoor is how everyone experiences it differently; there’s such a vast landscape to explore that you’ll find your own perfect sanctuary away from the stress of everyday life. For a dog, it must be heaven! A place with so many different smells, landscapes and terrains = a pawsome day out for dogs! If you’re planning to head off on a jolly around Devon you won’t need to worry, either. 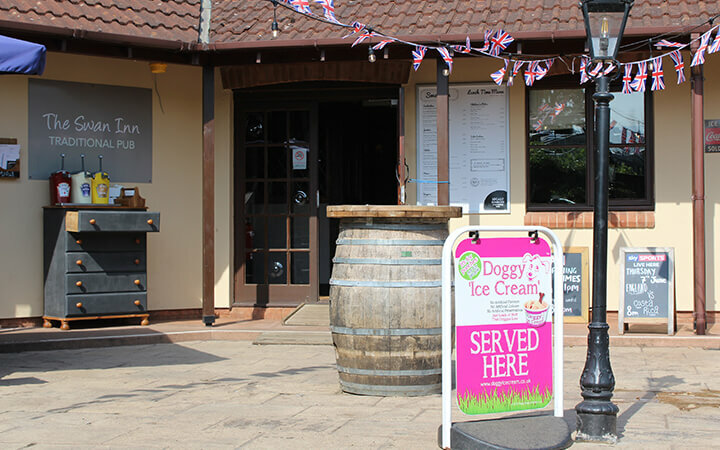 There’s a wide selection of dog friendly pubs and restaurants in Devon (including our own onsite pub and restaurant) where they have bowls of water to refresh your four-legged friends in the scorching heat. For a better idea of how to plan your stay, visit Doggy Devon for ideas on where to take your dog. Here at Cofton, every summer we have our big American Car Show. It’s one of the best times of the year where we get some of the coolest muscle cars to cruise around Dawlish. 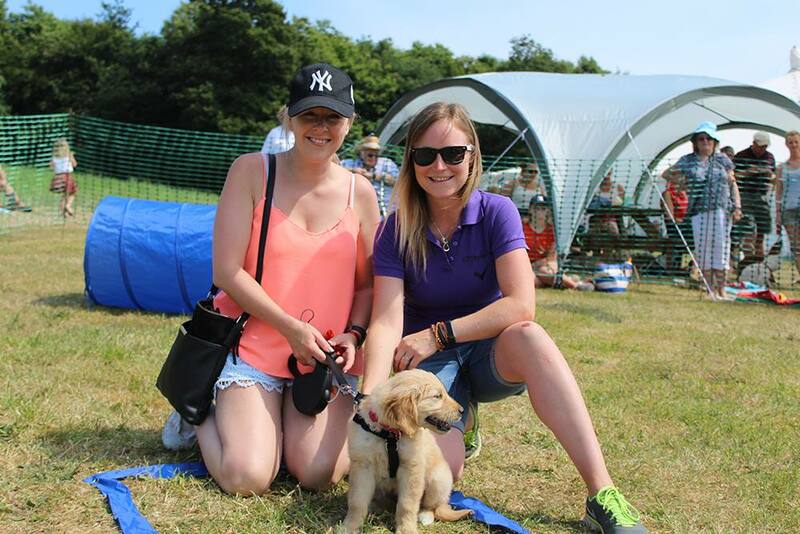 We also run our annual ‘Crofton Dog Show’ where we judge the coolest canine in Cofton. So, if you think you’ve got the best looking bulldog or the coolest collie, why not show us next year? All the money raised will be going to a local dog charity. Book your dog friendly holiday now! Happiness comes in different shapes and sizes. Yours might be Bingo-shaped or music-shaped. Swimming-pool sized or guinea-pig sized. Whatever your happiness looks like, you’ll find summer events at Cofton that fit your holiday style perfectly! Here’s a preview of some of the super summer activities we’ve got lined up for you. Give yourself a breather and let the kids run wild with us. Every day, three times a day during the school holidays, our enthusiastic team will entertain your little ones with games and activities. Have a go at circus skills, have fun with face paints and stretch those little legs on a nature walk. Kids should look out, too, for Digby the dinosaur. He’s always hungry – for cuddles, that is! This mischievous Coftosaraus roams the park, challenging children to dance-offs. Digby puts a smile on everyone’s faces. Speaking of cuddly animals, Pennywell Farm is visiting Cofton on the 6th and 13th August. Make sure you come and say hello to the friendly guinea pigs, rabbits and miniature pigs. Singalong to your favourite hits from the 90s and ‘00s on the 6th, 7th and 8th of July. You’re spoilt for choice with live performances all weekend. Fall in love all over again at boyband night on Friday. Sing your heart out on Saturday at Bon Jovi night. Have a soulful Sunday with an Amy Winehouse evening. The whole weekend is free for Cofton Park guests. There’s live entertainment for all your family every night at Cofton. From the early evening games and activities for the kids, to Bingo hour for the bigger kids! Enjoy a special cabaret act from 9.30-10.30pm, then put on your dancing shoes for a disco and karaoke. If your happiness is swimming-pool size, you’re in luck at Cofton. Soak up the Devon sunshine at our outdoor pool (open until September) or take a dip in our heated indoor pool. You can then let off some steam in our sauna and steam room. Visit our onsite gym, Ashburn Springs, to work out or join a fitness class this summer. The gym has enough equipment to provide a complete body workout, with a free weights zone and machines for cardiovascular training. Our resistance machines are perfect for safely toning and sculpting. You can meet our motivational instructors in our fitness classes or they can provide personal training. If cycling makes you smile, visit our specialist indoor cycling studio. With state of the art sound and lighting, it offers a unique cycling experience. There are 11 indoor cycling classes to choose from each week. Our inspirational instructors can’t wait to help you smash your targets! See the full list of events happening at Cofton and the nearby area this summer. A full season of happiness awaits – we can’t wait to enjoy it with you! Book your summer break at Cofton today! It’s no wonder that so many visitors flock to campsites in Devon each year. 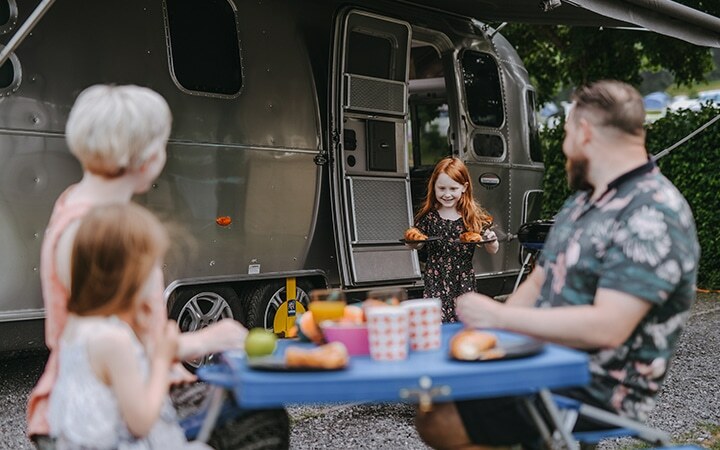 Whether it’s the mouth-watering cream teas, the stunning Dartmoor scenery or the soft sandy beaches of Dawlish Warren, Devon truly is a glorious corner of heaven for a family camping holiday. But choosing the best campsites can be tough, so let us help you create your perfect Devon camping holiday. 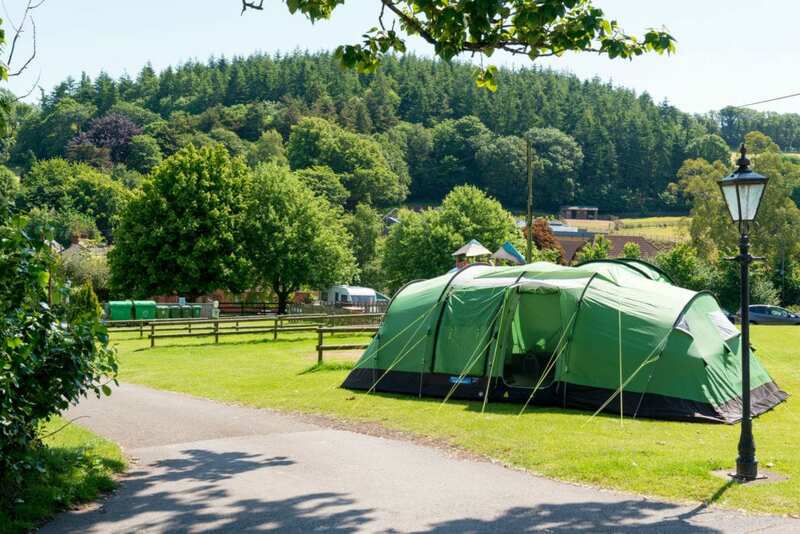 Campsites In Devon – Which Pitch Suits You? 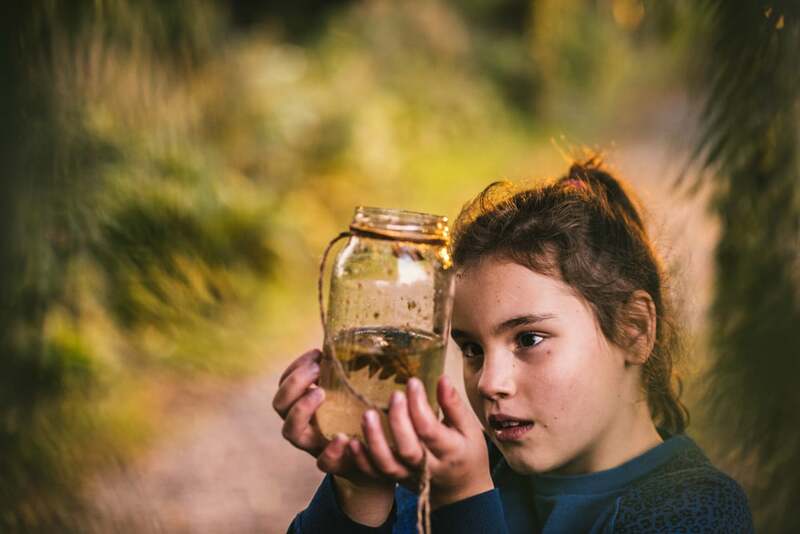 There are lots of different types of campsites ranging from small to large, from those with limited facilities to those like Cofton with extensive on-park activities and a family-friendly atmosphere. We have 6 types of pitches available at Cofton so you can choose what’s right for you. Our grass pitches are individually marked out and come with electricity hook-ups (except in the overflow field). The difference between this and our hard standing pitches is the surface, as grass pitches are meant for camping and hard standings for caravans/motorhomes. We also offer our super pitches which are similar to our hard standing pitches located towards the top of the park for easier access to fishing lakes. However, you might want to be a bit closer to the centre of all the action! We have pitches that are very close to our leisure complex, offering you the best of both worlds. 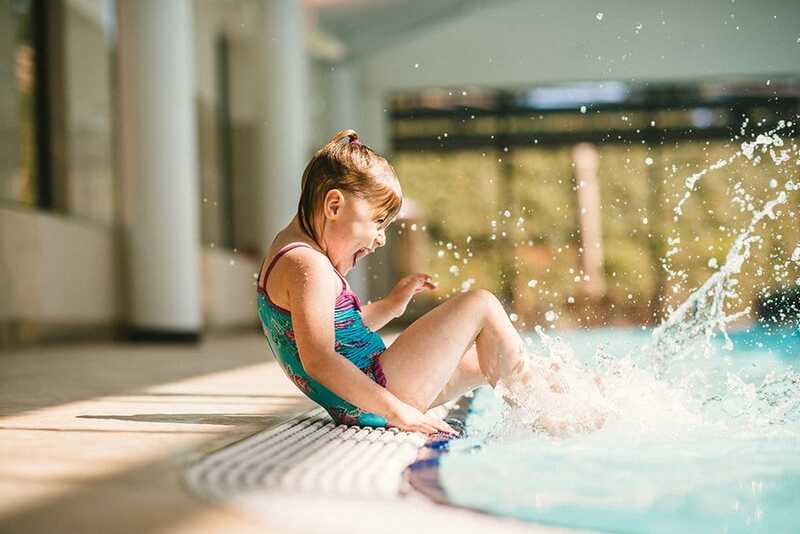 Escape to nature when you want to get away from it all but still make the most of our indoor & outdoor pools, delicious treats from Amelia’s Pantry and fabulous evening entertainment in the Warren Retreat – all just a short walk away. To The Beach Or The Moors? 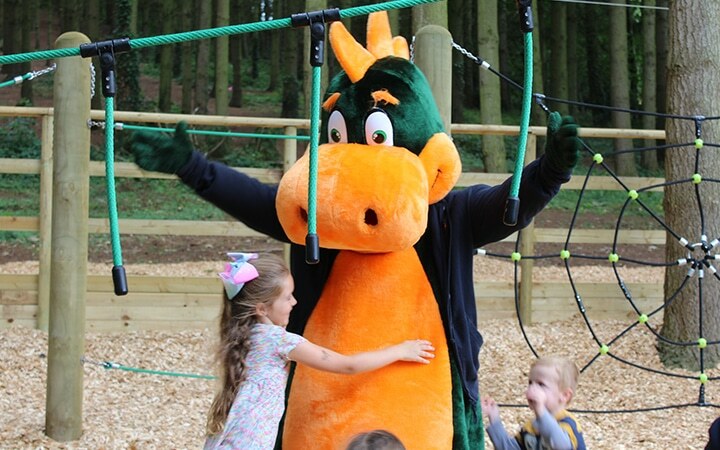 All campsites offer basic pitches, but at Cofton we like to think we go above and beyond. Amazing facilities on site, fresh, locally sourced food and drink. Not to mention the breath-taking views, oh, and entertainment, too. Our team will blow you away with specially themed nights and entertainment every night of the week during the season. We also host a wide range of acts for kids and adults alike to ensure everyone is catered for. Enjoy a Cofton welcome and feel like part of the family! Book a camping break at Cofton today! Ah, there’s nothing better than feeling the glorious Devon sunshine beaming down on you at one of the many top Devon events this June. Of course, the beach is just perfect for relaxation this time of year, and there’s nothing quite like the salty sea breeze, but there’s so much more to do in Devon this June. Cofton’s the perfect base to get involved! Perhaps one of the best-attended events in Devon in June is the Torbay Air Show on 2nd & 3rd June. Set your picnic up anywhere along the seafront and get ready for an aerial extravaganza and a celebration of British innovation. For the first time ever, the Torbay Airshow will play host to the Vampire Pair, which feature some of the earliest examples of British designed aircraft. The Vampire Pair has terrific pedigree within the Royal Air Force and other air forces. And of course, who would want to miss the famous Red Arrows. 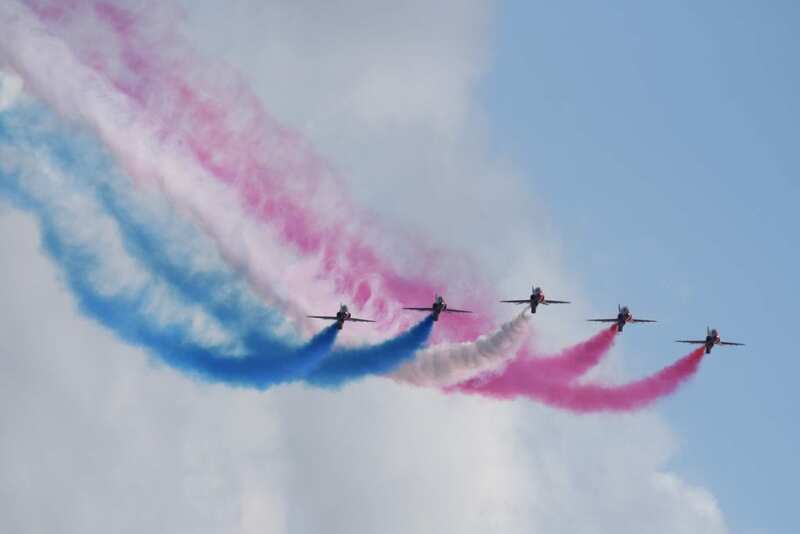 Back again this year with their stunning air display with the iconic red, white and blue trails across the sky. Two days of spectacular air performances, don’t miss it! If the foodie in you is looking for a special treat, the Kingsbridge Food & Music Festival is not to be missed. 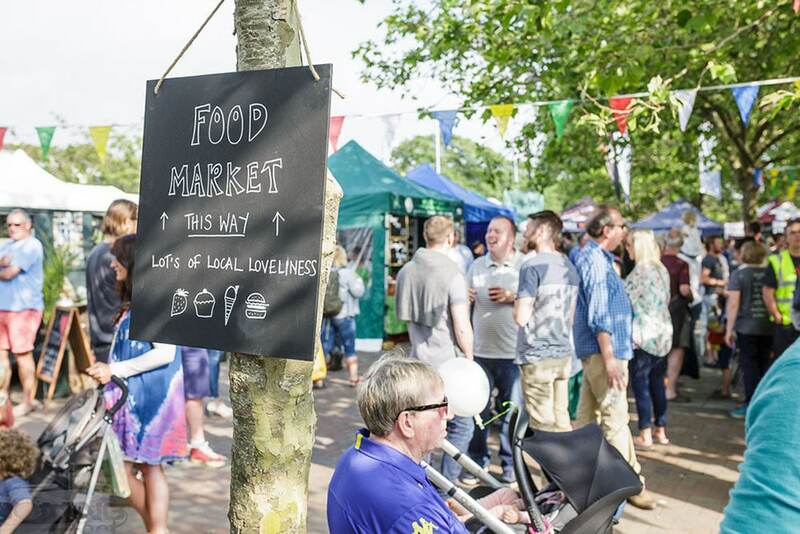 From 1st – 3rd June, Kingsbridge plays host to some of the Westcountry’s most high profile and boutique producers of food and drink. Exhibitors from Salcombe Brewery, Heron Valley Ciders and Sharpham Wine & Cheese to name just a few will all be showcasing their sumptuous produce. There’s music throughout the days and some evenings, so check out the full programme for more information. In Devon, we do things a bit differently, which is why we have Lemonfest, the UK’s best truly independent boutique festival. 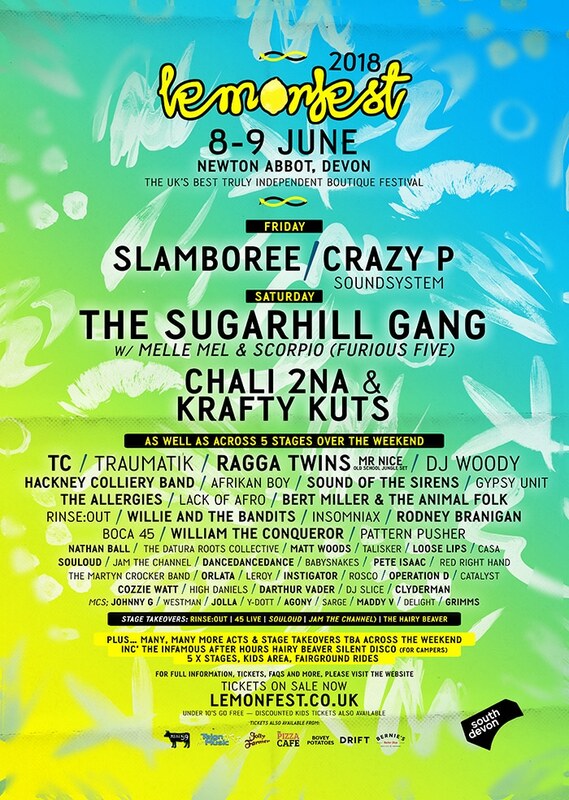 Taking place on Newton Abbot Racecourse, it’s a two day festival with weekend tickets as cheap as £46.20. However, if you fancy just popping along for the day, day tickets are available from £25 and you can even catch the last train back to Cofton with trains running late into the night. A local secret in June is Occombe Festival. Haven’t heard of it? Good, it’s meant to be a well-kept secret! 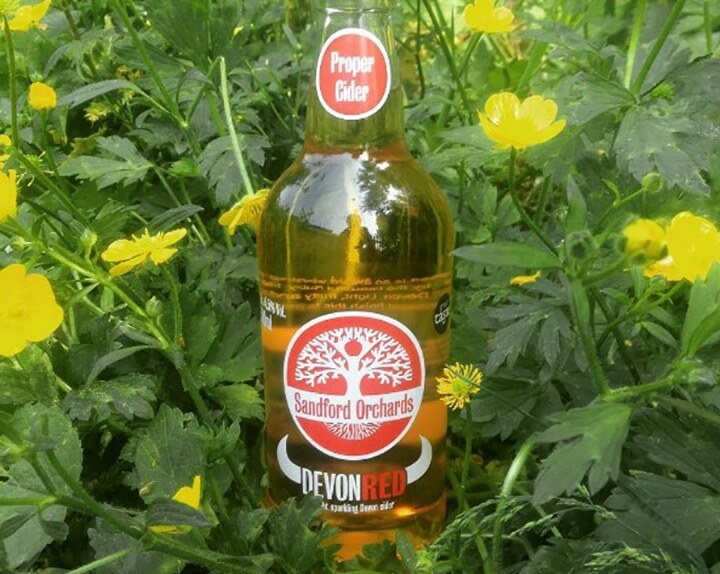 Showcasing over 40 different ales and ciders, it’s Torbay’s only festival on a working farm. The best thing about the festival is it’s organised by the Torbay Coast and Countryside Trust, meaning all the profits will go towards maintaining and protecting some of the wonderful Torbay coastline. 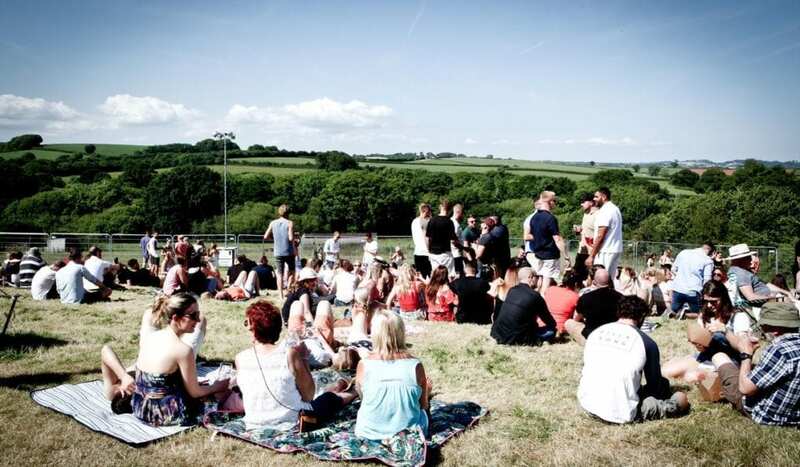 The festival takes place on Occombe Farm on the 15th and 16th June. Get your drinking boots on! Fancy staying on site? That’s no problem, either. 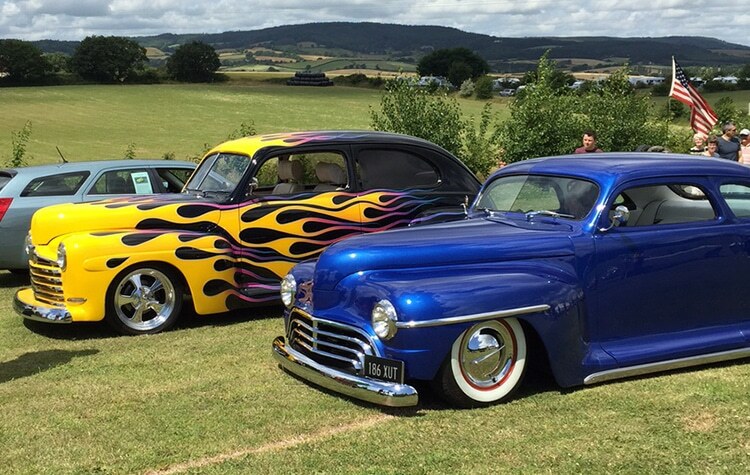 Right at the end of June we proudly present Cofton’s American Car Show weekend which is one of our favourite times of the year. In it’s 5th year, the American Car Show features over 100 classic American and Canadian cars with a mix of muscle, hot rods and other classics. There will be plenty on during the day, such as the Cofton Cruise going through Dawlish – a peak opportunity to see the best cars riding together as well as a BBQ to keep you fueled up. This event is free for guests, too! 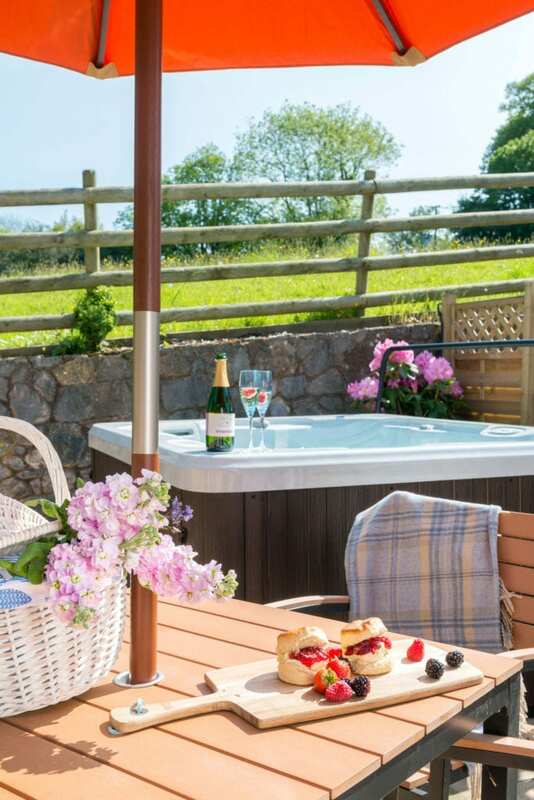 Book your Devon break Now! 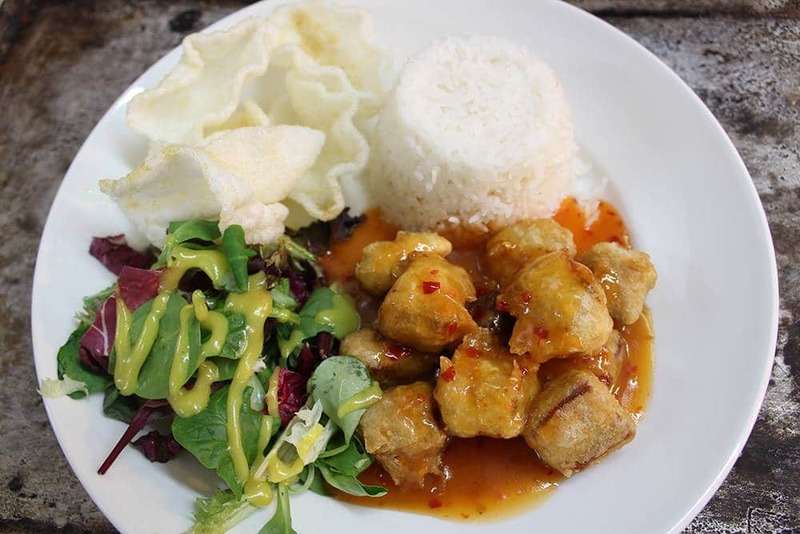 Food, glorious food… It can make or break a holiday, can’t it? We think Devon food is simply the best. You can’t beat a hearty comfort food dish after a busy day hiking the coast path or clambering over tors on Dartmoor. But we’ve also heard our fair share of campsite horrors. How about burnt sausages on the disposable BBQ or the cold beans because the camping gas had run out? Well, I’m here to tell you there’s so much better out there! 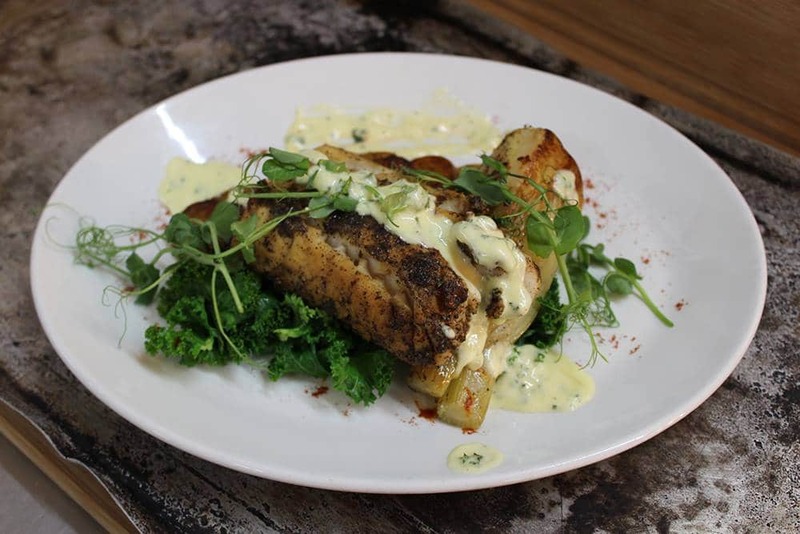 The Cofton Crew have put their culinary expertise to the test and come up with a brand new menu of glorious dishes created from local ingredients (wherever possible) to tantalise your taste buds. For a limited time, we’ve got our fabulous five available at two for £20. Choose to dine in at Amelia’s Pantry, or enjoy the traditional pub atmosphere in The Swan, it’s your choice. First up we’ve got our Provencal Stuffed Chicken, which is a favourite amongst the chefs and our Cofton guests right now. 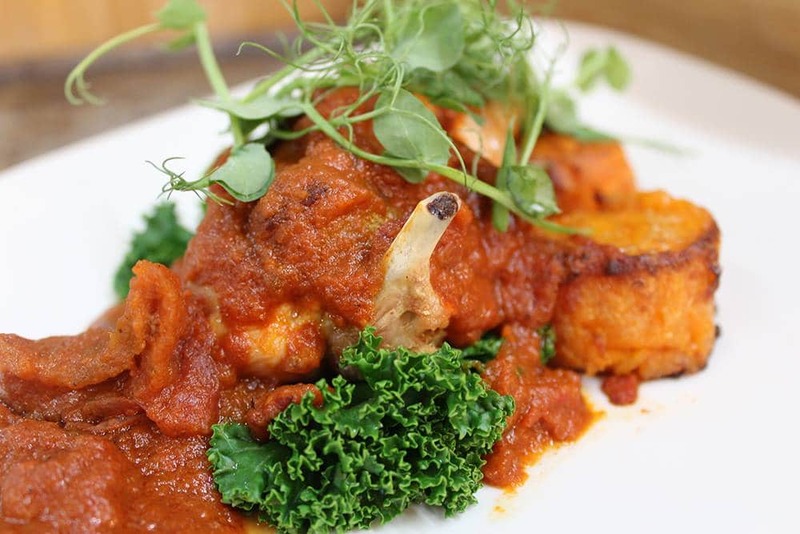 Locally sourced chicken stuffed with feta cheese, sundried tomatoes and chorizo covered in Provencal sauce. If you haven’t tried this before, we highly recommend it. A taste sensation! Next up on the menu we have our fragrant Wild Mushroom Gnocchi. 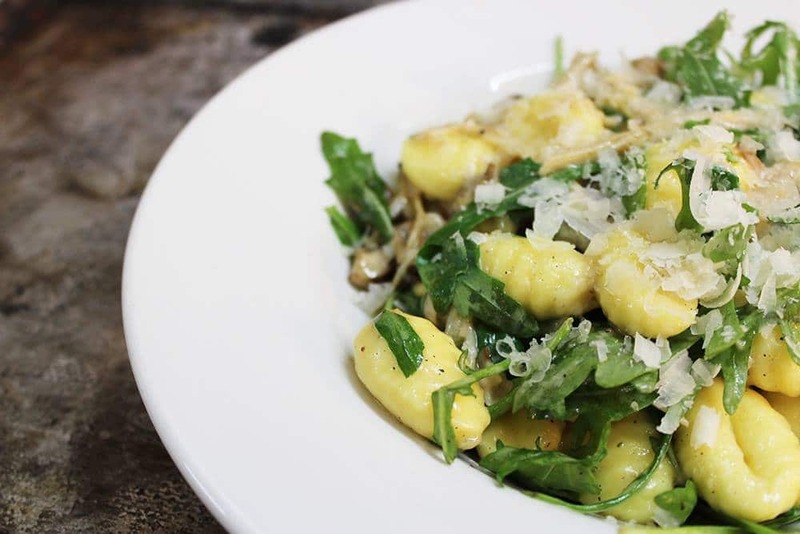 Served with an accompanying salad and topped with parmesan and pine nuts, this one will tingle your taste buds. Perfect for a lighter bite or simply explore something different. 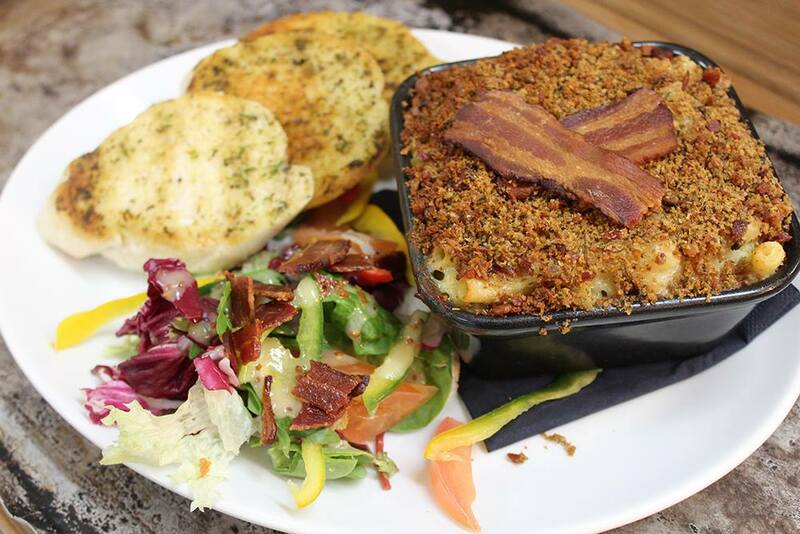 And last but not least, the hearty feast favourite, the Cofton mac’n’cheese. Our own homemade cheese sauce is delectably creamy and will make the cheese fanatic in your family swoon. The perfect comfort food dish if you’ve been caught out in the spring rain, or you’ve hiked along any of the dog-friendly beaches still open this time of year. Of course, these specials are only around for a short time and don’t fret if there’s something you completely adore from our permanent menu. You can still treat yourself to your favourite Devon foodie feast at Cofton. Our permanent menu features options from the grill like Rump Steaks served to your liking or some of our signature dishes such as Trio of Spring Lamb or Sesame Crusted Teriyaki Salmon. Our vegan Morrocan Spiced Chickpea Kofta has gone down a treat too, from meat eaters and vegans alike. Dine in style at Cofton, check out the menus here. Now, I hope we haven’t made you hungry… but if we have and you have a taste for Devon food, check out our spring accommodation offer so you can back to Cofton this Spring. Save £50 on selected 3 or 4-night breaks, and save £100 on selected 7 nights or more. Check out our special offers here. Back to the future at Cofton’s 80s weekend! Put on your neon leg warmers, shell suits and resurrect your shoulder pads for Cofton’s 80s weekend! We’ll be bringing back everything you loved about the 80s. So get your acid wash jeans or your brightest leggings on for our range of live 80s entertainment – it’ll make you glad you came! Want the best 80s party hits? We’ve got you covered. Is it Lionel you’re looking for? We’ve got you covered. This bank holiday weekend, we’re going 80s-tastic at Cofton. It’s time to celebrate the long weekend in style! Whether you arrive on the Friday or Saturday, we recommend starting your 80s weekend in our glorious corner of Devon by basking in the glorious Devon sunshine (which we’re hoping to see a vast amount of !) Last May, there was a heatwave, which meant the beaches were in high demand. Set out early, find the perfect spot to set your towel down and take in your surroundings. We’ve got a handy guide of beaches if you’re visiting as a family, as well as our recommendations if you’re bringing your four legged friend. On Friday 4th May we have Electric Dreams joining us. Electric Dreams is a one man tribute to the 80’s era with tunes ranging from Erasure to New Order. We dare you not to dance along and be entertained by this one. DARE YOU! On the Saturday, we have the ultimate Lionel Richie tribute for you. 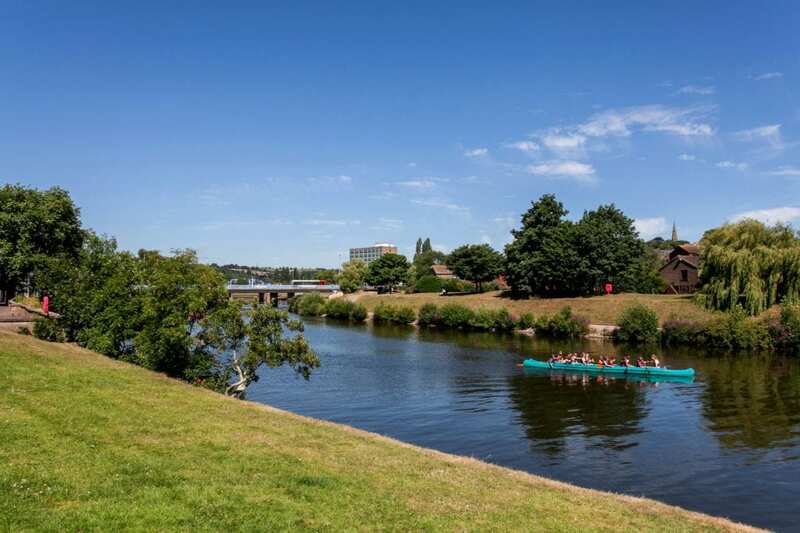 It’ll be going all night long… If you’ve got time, why not explore Cofton before? Whether that’s sampling our state of the art leisure facilities or kicking back at our own private fishing lakes, you don’t need to stray far from the nest to have a good time here. Now that you know what you’re doing, you’ll need to get where you’re staying sorted. Fortunately for you at Cofton we’ve got plenty of accommodations for a wide range of budgets and needs. Fancy reconnecting with mother nature? 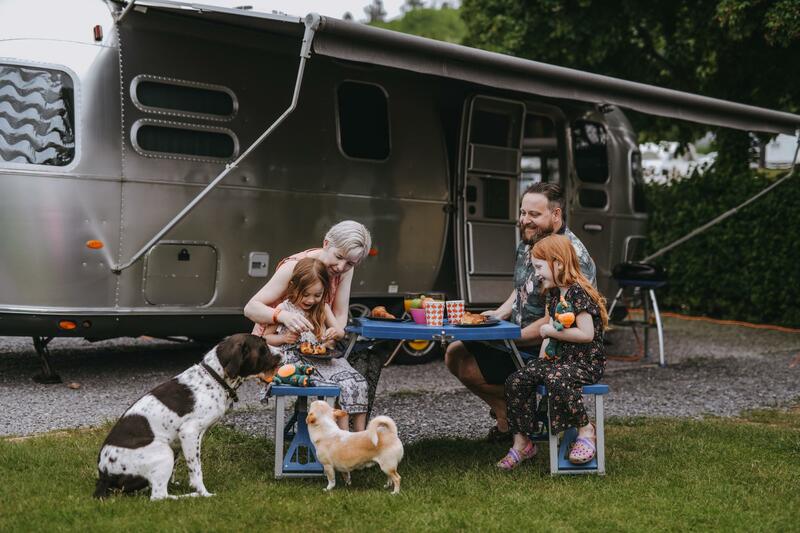 Take a look at our standard camping and touring pitch options where you can pitch up and become care free from as little as £51 for 3 nights (based on two adults per pitch, price may vary). Fancy a bit of luxury? 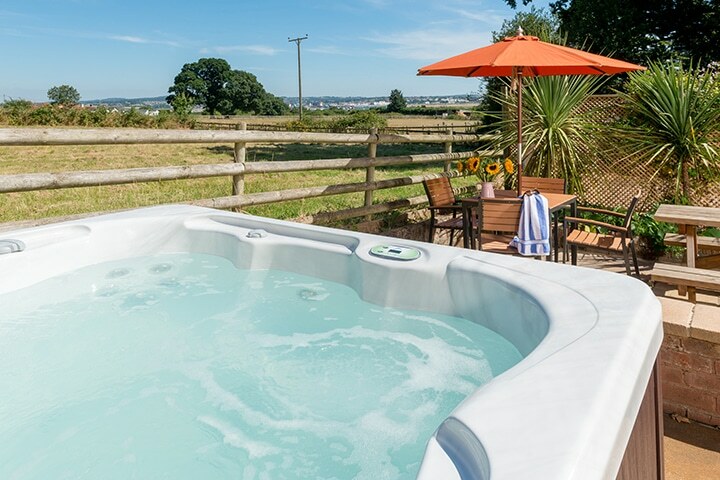 Try The Linney Hot Tub cottage this weekend, available from £413! Book quickly, it won’t be around for long! Book your 80s weekend now! Ah, the 70’s. The decade the saw the rise of Disco and the many wonderful looks that came with it. Whether you’re a Sideburn Sir or a Platform Princess, we’ve got 70’s weekend breaks just for you. Fill your weekend with a wild array of 70s specials, sing your heart out all weekend and then retire to enjoy a well-deserved rest in any of our luxury cottages and apartments, our cosy holiday homes or stunning touring pitches. We’ll be jazzing things up on Friday with Steven J Taylor. Steven is a self-proclaimed lover of jazz as well as throwing some soul classics into his act. Anyone who witnesses Steven’s one-man show is sure to be impressed by his variety. As he puts it, his music taste ranges ‘Irvine Berlin to Jon Bon Jovi’. It wouldn’t be the 70’s without one of the best television shows of the decade. Okay, so we’re a 30-minute train away from Torquay, but that’s no reason why you can’t head down to the English Riviera and to see the inspiration for Fawlty Towers. (Hotel on fire not included!) There are plenty of fresh new restaurants on the seafront as well as some of the old favourites if you’ve been in years gone by. On Saturday, we have the Ambassadors. Who, with their unique range have the ability to put on a show you’ll never forget. You’ll be taken on a journey through the 70’s, with the humble beginnings of Motown and the old style rhythm and blues that was synonymous with the era. Their experience across North America and Europe means they’re accustomed to belting out a ballad or two so get yourself down for this one, because it’ll be one not to miss. It’s hard to think how we survived in the 70’s. Things like mobile phones and personal computers had only just been invented. Cofton was also a much different place then, too, with only a few acres of land and tents dotted around. We’ve come a long way since then, though. With our top of the range onsite leisure centre and mouth-watering locally-sourced restaurant menus, we know there’s a few of you who simply won’t want to leave! 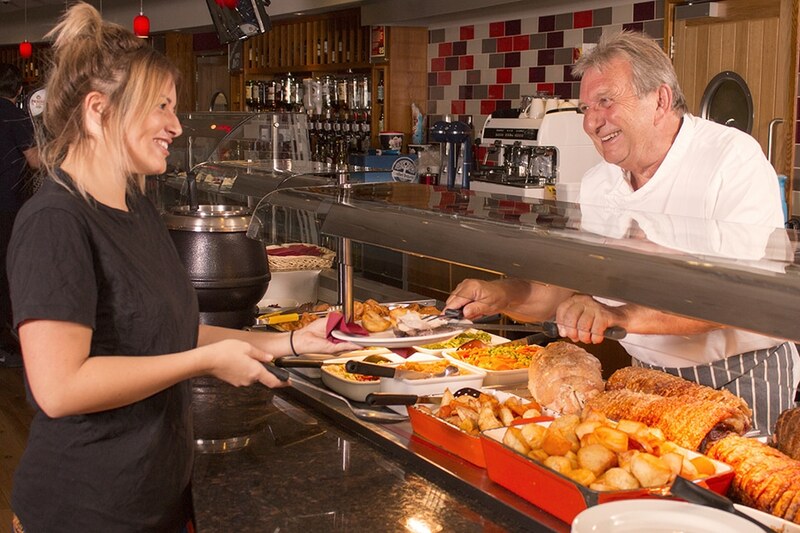 On Sunday, why not treat your taste buds to our sumptuous Carvery. Pile your plate high with tender veg and succulent meat. Fill yourself up to your heart’s content. It’s what Sundays are made for. 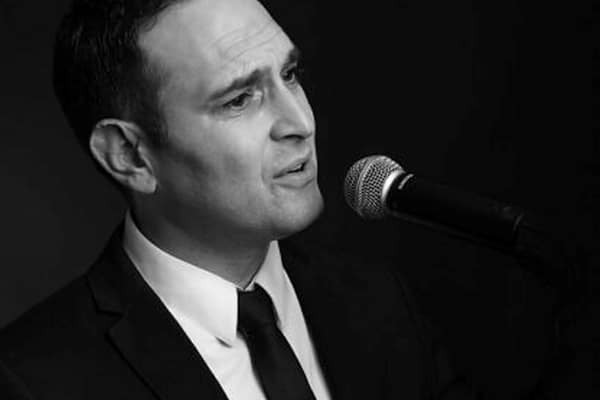 In the evening, we have Paul Sylvester, who has electrified audiences worldwide with his amazing voice. How do you want to spend your weekend? 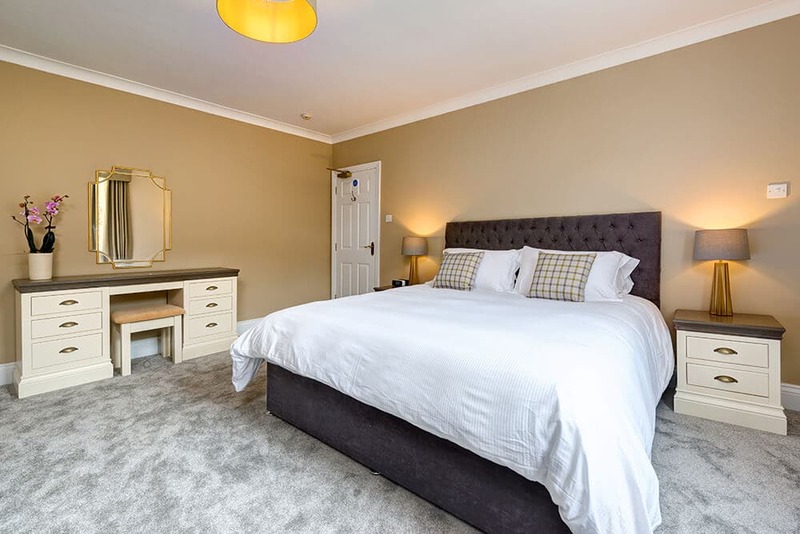 Sleeping under the stars in our orchard or do you fancy a bit of luxury in one of our newly renovated luxury apartments? 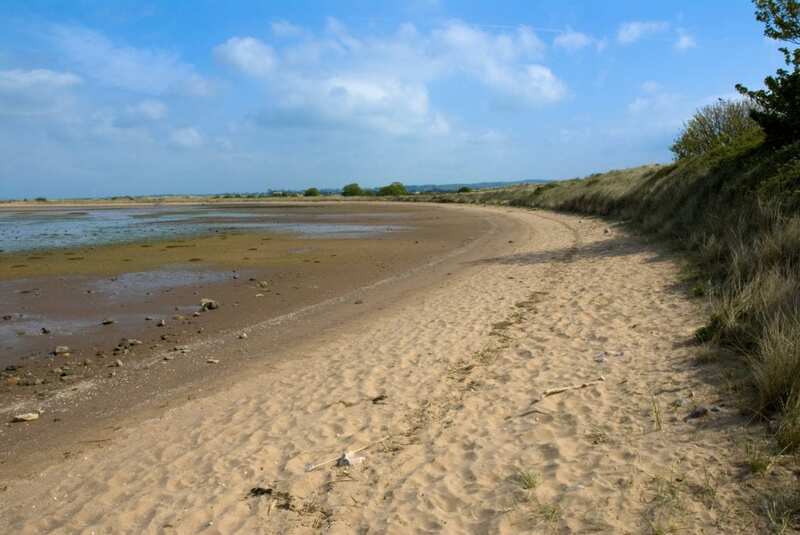 We’ve got standard pitches for £51.50 for 3 nights (£17 a night) as well as the Exe View Luxury Cottage available for £330 for 3 nights from the 20th of April (subject to availability, prices may vary). Get your Weekend booked now! Despite the final throws of Winter, Spring can’t be stopped! We said goodbye to Blue Monday in January, and soon it’ll be au revoir to the long nights and auf wiedersehen to the cold, frosty mornings. Say hello to the changing of the leaves, the sun creeping in and the arrival of the warmer days! Early March is the perfect time for a break, and we’ve got a fun-filled weekend for you. 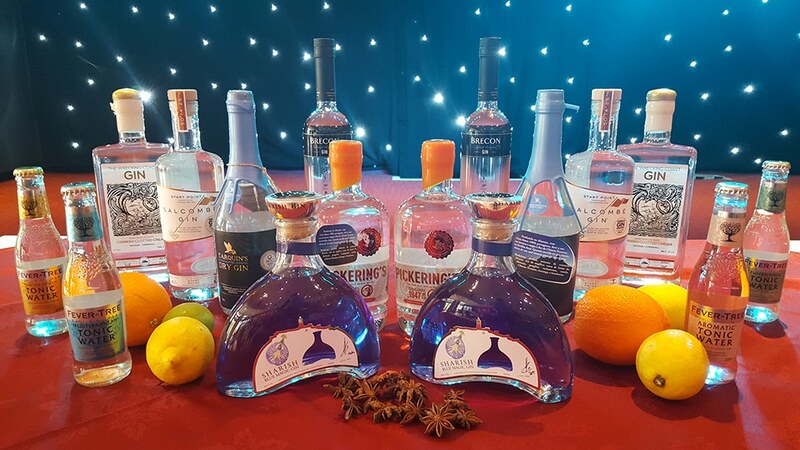 Kick off your short break on Friday 2nd March with our Gin Tasting Masterclass. Sample several special guest gins alongside our local taster Meze menu. Tickets are £20 each and selling fast, so don’t forget to book your ticket when you book your short break. And it doesn’t stop there. 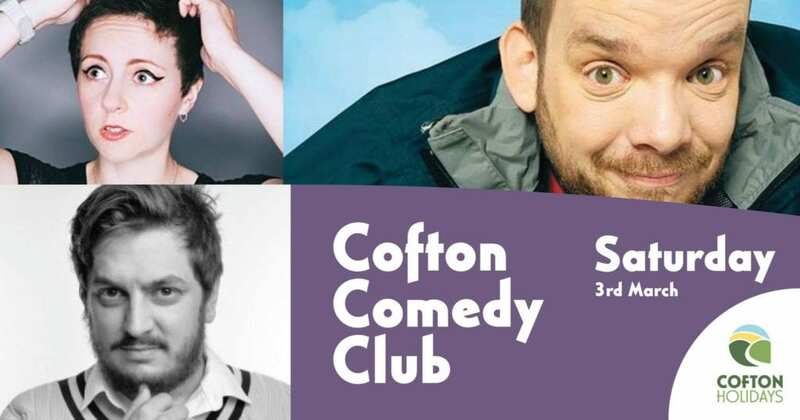 On Saturday 3rd March we’ve got a special treat to get your laughing gear around with Cofton’s Comedy Club night. 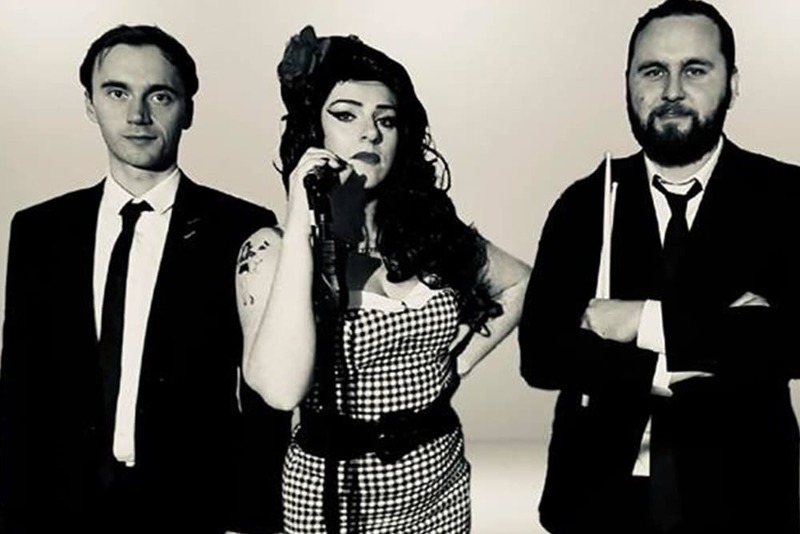 3 cracking acts to giggle and guffaw the night away to, not to mention the scrumptious local menu that’s always on offer. Tickets for this side-splitting event are £12 so get your seat reserved today. 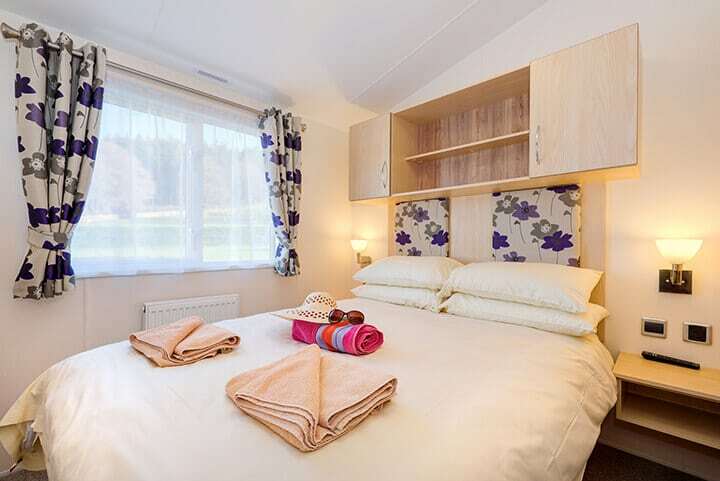 Take our Meavy Holiday Homes, they are the perfect retreat for couples and families alike. Sleeping up to 6 people in 2 bedrooms, it’s complete with all the facilities of a modern kitchen, meaning you can make yourself at home easily enough. Our Meavy Holiday Homes are available from £198* for 3 nights from the 2nd March, and that includes our short break discount! If the Meavy Holiday Home isn’t for you, why not try one of our gorgeous country cottages. The stunning Estuary View Cottage is available from £512* for 3 nights from 2nd March. It sleeps up to 4 people and has its own luxurious private hot tub. And if you’re sticking around for Sunday, tuck into our sumptuous local carvery for Sunday lunch. Nothing rounds off a perfect weekend quite like the perfect roast! That doesn’t sound bad for a weekend getaway, does it?! Book your weekend getaway now! *Prices based on two adults staying on stated dates. Subject to availability. It’s heartwarming to know we’re doing a grand job for our guests. We love it when our team is recognised for their hard work and the passion they have for Cofton. Whether it’s a TripAdvisor review from any of the lovely guests who’ve stayed with us, a personal thank you just as you’re departing, or in this case, an industry recognised award. We just love all that positive feedback, so when we found out we were finalists in the Holiday Park of the Year category, we did a little dance! The awards celebrate everything to do with tourism in the South West, from Cornwall all the way up to Dorset so we knew the competition would be fierce. There were a record-breaking 647 entries across all the categories this year. It was great to see the South West represented so well, with the evening meaning so much to lots of different people. The evening itself was spectacular. To be invited to celebrate everything that’s brilliant about South West Tourism with many of our colleagues from across the region was really special. And (drum roll please…) to top it off, we won joint bronze in our category! Oh, and if you want to see what all the fuss is about… Then what are you waiting for? Come and see Cofton for yourself… we can’t wait to see you. Book a Cofton break today! Devon is truly a magical place for summer holidays packed with activities. From the golden sands that eventually become red as you travel around the coast from Dawlish to Torbay, to the spectacular moors that are a feast for the senses. 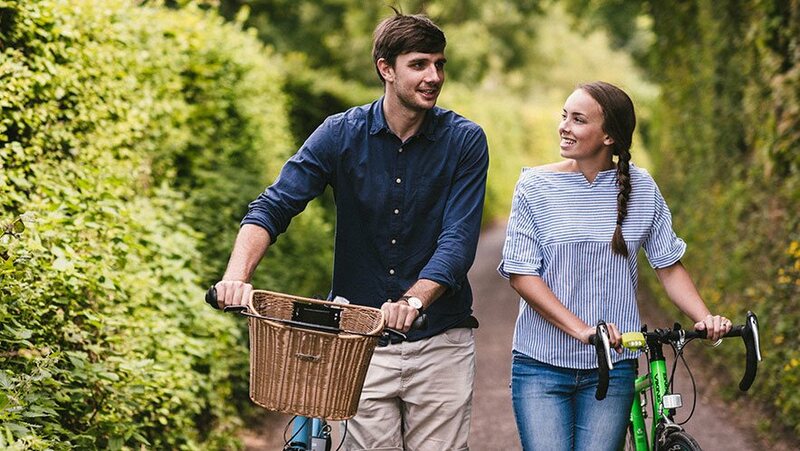 Devon’s the perfect place for a summer holiday away from the hustle and bustle, whether that’s finding yourself in nature or letting the kids go mad for the clotted cream ice cream! It’s hard to talk about our favourite things to do in Devon because there is just SO much, but here are our top 5 favourite things to do in Devon in 2018 to get you in the mood for some summer holiday activities! Us Devonians are fortunate to have such a diverse coastline. 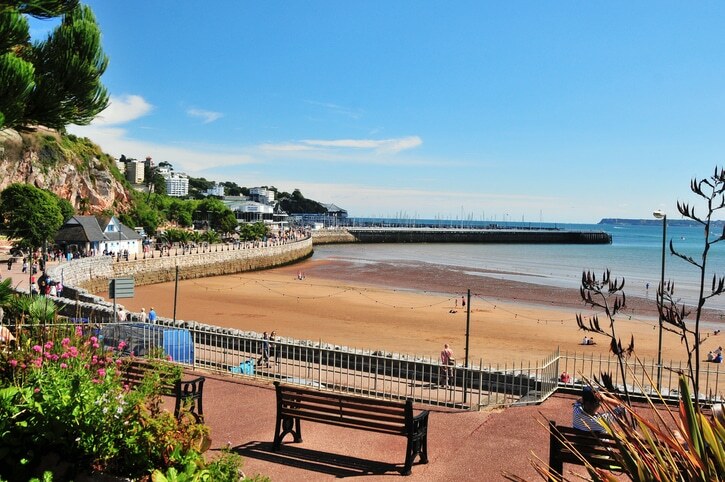 From the jagged cliffs that surround Dawlish seafront to the smooth sands of Torbay, everyone has their own personal favourite beaches and spots. There’s so much to do on our beaches, whether it’s the traditional beach day out building sandcastles and frolicking in the sun or exploring the many rockpools in Devon to find an array of sea life. 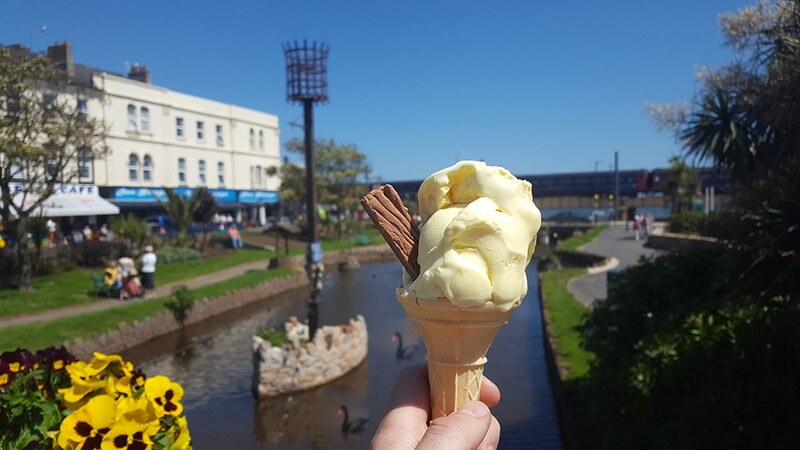 And what’s a day out at the seaside without a true Devon clotted-cream ice cream? 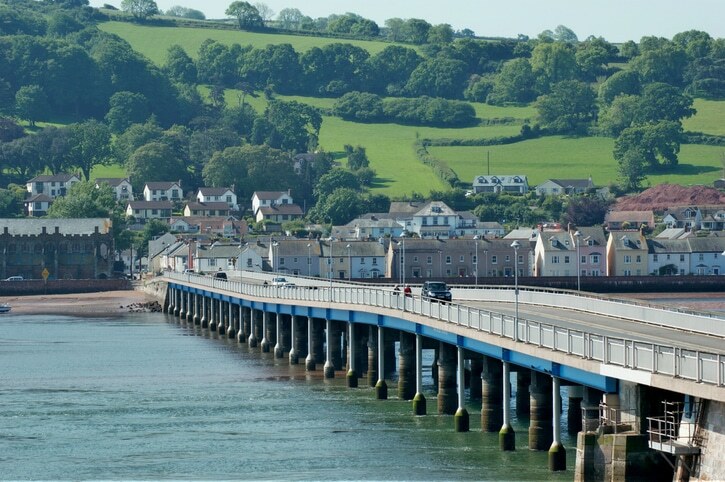 Dawlish is open all year round, but during Carnival Week there’s a party atmosphere like no other! Do you remember the Smurfs who won the raft race last year? Who can forget! 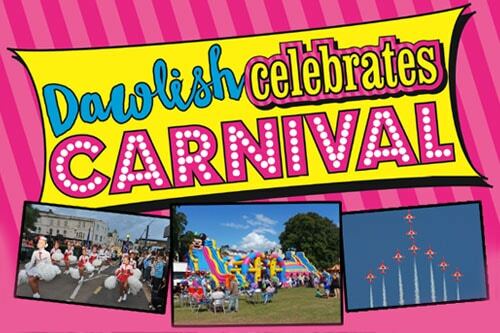 Whether you want to take part in the waterborne shenanigans or simply marvel at the spectacular shop windows as they compete for the best-dressed award, break out the ooo’s and ahh’s at the fireworks display or dance along to the Carnival procession, there’s always something going on in Dawlish during Carnival Week. There are so many different ways to find peace and quiet in Devon. This could be finding your own private haunt in many of the quaint villages and towns, or it could be driving to one of the many nature reserves and national parks we have. Or maybe even just heading down to our very own private lakes for a spot of fishing? We often hear visitors from all around the world say that ‘the air is different down here’ and we agree! Turn off your phone, leave the technology at home and enjoy the wide open spaces untouched by the modern world. Devon isn’t just about batting seagulls away from your chips. There’s such a wide variety of wildlife here and you don’t have to travel far to find it. In fact, we have our very own fishing lakes here at Cofton if you fancy yourself as the top angler. Or we have the wonderful Pennywell Farm and Paignton Zoo, both of which provide spectacular family days out for all animal lovers, from your goats to your gorillas. Devon truly is the county for all you foodies out there. The fresh natural produce we’re afforded makes it somewhere to visit if you want to give your tastebuds a trip they won’t forget. You might think it’s all just Fish and Chips and Cream Teas but there’s so much more. Real ale and cider has boomed in Devon recently as well as locally produced cheeses. Don’t believe us? Try and visit during one of the many food festivals that run throughout the year to try our local produce. Our pick would be the 2018 Exeter Festival of South West Food & Drink which runs from the 5th – 7th May 2018. Or, even better, take a look at our menu which highlights where all of our produce comes from. 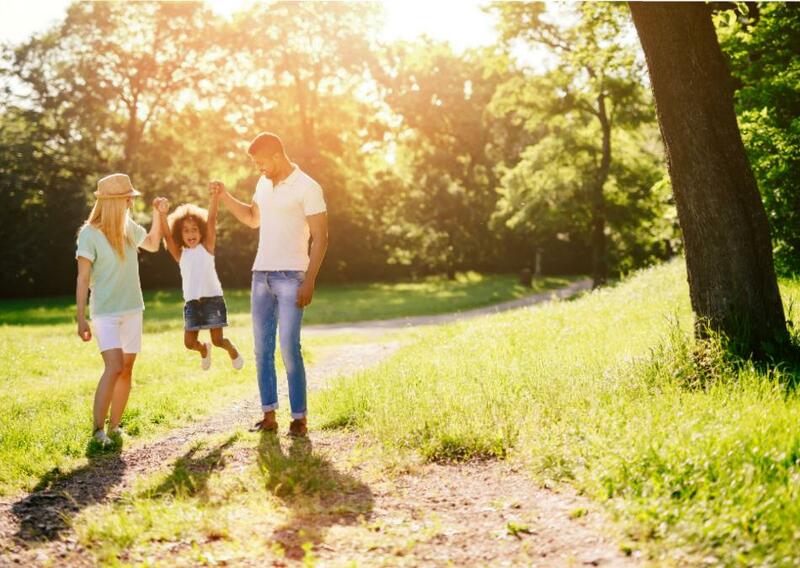 With all this on your doortstep at Cofton, bring the family for a fun-filled holiday in your glorious corner of Devon! Book your Devon summer holiday now! *costs subject to availability at this pricing level.